1. Be prepared: Before you go to class, go through your textbook and get a first impression of the lesson. Find out what you do not understand, highlight the topic and be ready to learn. 2. Pay attention: Sleep early and get up early and eat a nutritious breakfast. In this way, you are fresh, alert and energetic to concentrate in class. You are more likely to absorb new ideas and grasp important points. 3. Take notes: There is nothing better than taking notes on pertinent points to reinforce your memory. You listen you remember but when you write you remember more and better. 4. Ask questions: It is the best time to ask about topics that you don’t understand for the benefit of the class. A teacher assumes you know if you do not ask. 5. Do homework: Doing homework is an effective way to practice what you have learnt. As an example, doing a lot of mathematics questions is the only to find out you really know the subject well. It is also a good time to review your lesson and notes. 6. Develop an interest in all subjects: Read related and relevant books and look for more information on the Net. It is one effective way to understand the subject better and be more interested. 7. Share: Share with your classmates what you have learnt and help weaker students. It is a great way to learn more by sharing. You will be penalized for not attending classes regularly. It is also a way to show your seriousness in your study. Do you get the most out of class attendance? The adventure of life is to learn. The goal of life is to grow. The nature of life is to change. The challenge of life is to overcome. The essence of life is to care. The secret of life is to dare. The beauty of life is to give. The joy of life is to love! Life is only meaningful when you know where you are going. However, the journey of life is not a bed of roses; it is filled with obstacles. When you deal with them, the problems are surmountable. When you do nothing, you are defeated. Here are 10 ways to live life positively. The journey may be challenging, it can be fun-filled. It depends on how you react to events. 1. Build Confidence: Accepting and overcoming problems in life is the way to build your self-esteem and confidence. The more obstacles you can clear the more confident you will be. There will always be challenges ahead of you, face it with resolve. 2. Be Enthusiastic: Are you passionate about what you do every day? Are you energetic? If not, you may not like what you do. Do something that inspires you, something that kicks start a new day early for you. Look for your dreams. 3. Get Organized: When you go on a holiday you plan ahead so that you can enjoy the trip without hiccups. Likewise, organize your daily life and execute your tasks smoothly. Make a daily living as pleasant as possible. 4. Be motivated: Uplift your mood every day by reading quotes and famous sayings in the morning. Positive words ignite the fire in you. You will welcome a new day with a bright perspective. 5. Just do it: When it is time to act, do not delay. Cultivate the habit of taking prompt action. Daily work gets accumulated when you postpone, you will get overwhelmed and delay further without taking action. 6. Enjoy the journey: When you come to the end of your journey you are finished. The most important thing is to enjoy the journey of life. Remember to stop and look around and don’t rush about. Stress is what you get when you are hurrying by. 7. Be resilient: Develop patience. Success takes time and effort to achieve. You may have to fail many times along the way. Can you pick up yourself, dust away the dirt and move on? Be determined and persistent in going after your dreams. 8. Live the moment: Pay attention to the task at hand. Work with your heart and soul. You will only be satisfied with what you do when you do it with great effort. When you take a break, be fully relaxed. This moment is the only time you have, enjoy it. 9. Be appreciative: At the end of each day think of all the things that you are grateful of. An attitude for gratitude is the positive way to live life. Gratefulness will fill your heart with kindness and love. 10. Get physically active: Life is movement, movement is life. The more you move your body, the more you feel good about yourself. Exercise every day and stay fresh, calm and alert. 11. Get connected: Get mutual support from people you care. Isolation leads to depression and emptiness. 12. Choose happiness: Living is all about happiness. Do things that you are happy about. Mix with happy people. Stay cheerful and bring joy to others. 1. KDP Select program: Sell your eBook exclusively to Amazon to take advantage of the option to offer your book free to readers for up to 5 days every 90 days to promote your new book. 2. Author Marketing Club: Be a member and fill in the form to provide details to announce your free Kindle promotion before Friday. Use their free Kindle book submission tool and submit to the top free Sites. You can also add your book cover to their gallery. 3. Amazon Author Central: Go to your dashboard look for the “Actions” button at the bottom left, choose “manage promotions” and select 5 days with the starting date to coincide with the announcement date of your free book at Author Marketing club on Friday. 4. Your blog: Post an article to tie with the launch of your promotion like what I have done in the article: My 3rd eBook and Amazon KDP Select. 5. Press release: Send a press release and upload on the first day of your free eBook promotion like I did at Free Press Release: A Dozen Effective Ways to Work Smart. 7. Spread the words: Announce to the world that during the 5 days your eBook is free to download. Doing all these at the same time is to create the greatest impact of your new eBook on the Net. During the 5-day free eBook promotion from September 21, 2012, to September 25, 2012, my eBook, All about Working Smart is listed in the top 100 chart of Amazon under the Motivational category. In fact, at one stage my eBook is at No. 6 spot in the USA Chart. According to the image here, my eBook is No. 13 in the top 100 chart. In UK Amazon, my eBook is also among the top 100 as listed in the Self-Help section. A total of 244 units were downloaded during the 5-day promotion. When you have created awareness on the Net during the 5 days, you continue to promote your book online and offline. Hopeful more Kindle owners will borrow your book and you will be able to enjoy a bigger share of the Kindle Owners' Lending Library Fund every month. The Kindle Owners' Lending Library is a collection of books that Amazon Prime members who own a Kindle can borrow once a month, with no due dates. In addition, you will earn royalties for the sales of your eBook. It assesses a business's ability to generate earnings. Examples of profitability ratios are profit margin, return on assets and return on equity. Profit Margin: Net profit, say $10,000 divided by sales, say $100,000 = 0.1 or 10%. It is useful to compare companies in the same industry and the higher the margin the better. Return on Assets: How efficient a business is at using its assets to generate earnings. It measures the amount of profit made by a company per dollar of its assets. Return on Equity: It is a measurement of a company’s profitability. It calculates how many dollars of profit a company generates with each dollar of shareholders' equity. It measures a company's ability to meet current obligations like paying for operating expenses. Insufficient fund to pay bills when it is due will impact the creditworthiness of a company. Too much liquid assets are also bad for the company because the fund is not effectively used to generate income. The liquidity ratios are the current ratio, quick ratio, and absolute liquid ratio. Current ratio: It measures the ability of the business unit to meet the creditors’ demand. The ratio varies from industry to industry. It is generally around 1.5 and 3 for a healthy business. Quick ratio (acid test): It measures the ability of a company to use its cash or quick assets to retire its current liabilities immediately. A company with a Quick Ratio of less than 1 cannot currently pay back its current liabilities. Absolute Liquid Ratio: This ratio extends the logic further by taking out accounts receivable. It looks at a company's ways of financing or to measure its ability to meet financial obligations. The best-known solvency ratio is the debt-to-equity ratio. It measures a firm's ability to convert different assets such as inventories and account receivables into sales and cash respectively. The asset turnover ratio and inventory turnover ratio are good examples of activity ratios. This ratio measures the management’s effectiveness in using fixed assets. A higher turnover is preferred. Generally the quicker the inventory turnover the better it is. It indicates that stocks are sold and turned into cash quickly. A bank will be able to evaluate the financial health of your business by using these ratios. The bank will be looking for some solid fixed assets such as factories and machinery in the running of your business. There are also inventories and cash balance in the bank as indicated in your current assets. If your current liabilities such as amount owing to creditors are more than your current assets. It raises a red flag. It indicates that you may have an insufficient cash flow to pay outstanding debts. The other thing your bank will take note is an item called amount owing by directors. It indicates that the fund has been drawn out for personal purposes. A bank will think twice lending money to a business entity with such an item in the balance sheet. The bank is only interested to provide loan for business purposes only. Sales - cost of sales - business expenses = profit. Is there growth in your business as indicated by the increase in sales year after year? Is your gross profit percentage (when a sale is $100 and the cost of sale is $70, your gross profit is $30 or 30%) in line within the industry? Is your business incurring more than necessary expenses? Poor control of operating expenses is an indication of poor business management. · Money spent unwisely like purchasing too many company vehicles for directors. · Fund transfers out by directors. The bank is looking for a healthy cash flow from various activities such as business, investment and finance. Character: What is your reputation? Can you be trusted? Are you a reputable member of the business community? Banks will check on your creditworthiness with relevant authorities such as CCRIS and CTOS in Malaysia. Trust is an important factor in reviewing a loan application. Capacity: What is your ability to make repayments on a timely basis? How is your past borrowing track record like? The bank wants to know your current cash flow situation to substantiate your monthly commitments. Are there any other sources of income to support your capacity to repay the loan? This is the most important consideration in approving a loan application. Capital: How much have you invested in the business? It is a reflection of your commitment to your business. The more you have invested in the business, the more confidence you have in your own business. It will also boost the confidence of the bank to lend you money. Conditions: The bank is interested to know how competitive your business is within the same industry. Is your business able to sustain when the economy is down? The bank is interested to know how strong your business is in withstanding the challenges ahead. Collateral: Do not think that when you can pledge something to the bank, you will get a bank loan. This is their last consideration after satisfactorily scrutinizing the other 4 C’s. The bank is only interested to do business and earn interest income. However, the assets of your business such as land and buildings are good to secure your loan. Check your 5 C’s before you approach your banker. What Can You Get Out of Wise Bread? Wise Bread is not about bread and butter per se but it has got a lot to do with you as a breadwinner and your bread-and-butter issues. Wise Bread is about personal finance and more. It is one of the top PF blogs on the Net. It has a Google PageRank of 6 and an Alexa Traffic Rank of 11,000. It is the number one personal finance community with over one million page views a month. Will Cheng is the co-founder and marketing director for Wise Bread. The most popular feature of this blog is the Wise Bread's rankings of the top personal finance blogs. You can find the most popular PF blogs on the Net here and more than 900 of them. I am delighted that my blog, All About Living With Life, is included in the list and also in another sub-list called Simple Living/ Productivity. Check out the blog yourself. You will surely find something you like. 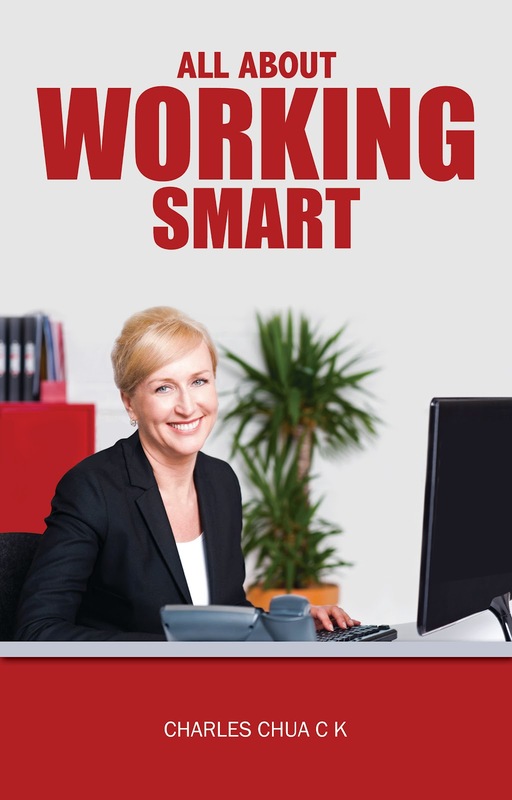 I have just published my 3rd eBook entitled All About Working Smart. This time I am only using Amazon to market my book exclusively because I have chosen their KDP Select program. According to Amazon when you choose KDP Select for a book, you're committing to make the digital format of that book available exclusively through KDP. During the period of exclusivity, you cannot distribute your book digitally anywhere else, including on your website, blogs, etc. By joining KDP Select, my book will be available for lending in the Kindle Owners' Lending Library for a period of 90 days and I will be entitled to share the Kindle Owners' Lending Library fund. According to Amazon, Kindle Owners’ Lending Library Fund is calculated based on a share of the total number of qualified borrows of all participating KDP titles. For example, if the monthly fund amount is $500,000, the total qualified borrows of all participating KDP titles is 300,000, and if your book was borrowed 1,500 times, you will earn 0.5% (1,500/300,000 = 0.5%), or $2,500 for that month. I will also have the option to offer my book free to readers for up to 5 days every 90 days to promote my new book. All About Working Smart is a collection of useful articles to inspire you to work smarter and be more productive. You can still purchase the book from http://www.amazon.com/dp/B009CVCYY8 Amazon at $2.99 even though I have enrolled in their KDP Select program. In conjunction with the lunch of my new eBook, you can get this eBook for free as from today for 5 days from Amazon (September 21, 2012, to September 25, 2012). 1. Be thankful for what you have; you'll end up having more. If you concentrate on what you don't have, you will never, ever have enough. 2. Appreciation can make a day - even change a life. Your willingness to put it into words is all that is necessary. 3. You never fully appreciate what you had until you don’t have it anymore. 4. Reflect Each Day On All You Have To Be Grateful For And You Will Receive More To Be Grateful For. 5. The aim of life is appreciation; there is no sense in not appreciating things, and there is no sense in having more of them if you have less appreciation of them. 6. The roots of all goodness lie in the soil of appreciation for goodness. 7. Once we discover how to appreciate the timeless values in our daily experiences, we can enjoy the best things in life. 8. There is more hunger for love and appreciation in this world than for bread. 9. If the only prayer you said in your whole life was, 'thank you,' that would suffice. 10. The deepest principle in human nature is the craving to be appreciated. 11. Feeling gratitude and not expressing it is like wrapping a present and not giving it. 12. Nothing is more honorable than a grateful heart. 13. Let us rise up and be thankful, for if we didn't learn a lot today, at least we learned a little, and if we didn't learn a little, at least we didn't get sick, and if we got sick, at least we didn't die; so, let us all be thankful. 14. Gratitude unlocks the fullness of life. It turns what we have into enough, and more. It turns denial into acceptance, chaos to order, confusion to clarity. It can turn a meal into a feast, a house into a home, a stranger into a friend. 15. If you want to turn your life around, try thankfulness. It will change your life mightily. 16. Everyone has an invisible sign hanging from their neck saying, ‘Make me feel important.’ Never forget this message when working with people. 17. Too often we underestimate the power of a touch, a smile, a kind word, a listening ear, an honest compliment, or the smallest act of caring, all of which have the potential to turn a life around. 18. Appreciation and gratitude are a must if you choose to become the architect of increased happiness and your own fulfillment. 19. Do not save your living speeches for your friends 'til they are dead; do not write them on their tombstones, speak them rather now instead. 20. Be a good-finder. Try to catch people red-handed in the act of doing something right. There are no little things. Little things are the hinges of the universe. 1. Get up a little earlier every day: Early risers are in control of their life. There is something to look forward to and something to do every day. Early risers are enthusiastic to start a new day early. Are you an early riser? 2. Read: Read a few famous sayings to get inspired and motivated. Read a chapter of a book to be thrilled, educated or enlightened. Reading is learning and learning is the way to embrace changes in your life and stay ahead. 3. Exercise: It does not matter what you do such as walking or jogging. The most important thing is to move your body so that you stay fit and healthy. 4. Work on your goals: Have you got your written goals? Are you working on it every day? How much you can do is not important, the most essential thing is that you must work on it every day. It is your daily habit that counts. Take one step at a time and do one task every day consistently. 5. Get the most important things done: Are you getting things done according to your to-do list especially the most important ones? Do not procrastinate because there will be more things to do the next day and you will never be able to catch up. Just do it. 6. Just be happy: Smile at people you meet. Laugh out loud with friends. Choose happiness every day. 7. Live in the moment: Like happiness, living life is in the present moment. You can feel it and touch it. Work with focus and play with total relaxation. To enjoy every moment is to enjoy the journey of life. 8. Appreciate: At the end of a day take stock of all the good things that has happened to you. In this way you will live with gratitude and thankfulness because you will know that you are living in abundance. 9. Plan for the following day: To plan ahead is to take charge your life and reduce stress to the minimum. Get a to-do list ready for the following every day. Get organized and live an orderly life. 10. Drink more water: Avoid dehydration because two thirds of human body weight is water. The human brain is made up of 95% water; blood is 82% and lungs 90%. Drink throughout the day to keep your mind sharp and in focus. What other little things you do every day to live a better life? I am pleased to see more page views and more unique visitors to my blog. In fact, the traffic to my blog is at its all-time high. In September it is projected to reach more than 13000 page views. The only setback was in April and May when I was hit by Google update innocently. Sadly, better traffic does not translate into better Alexa Traffic Rank. In fact when my monthly traffic gets better, my one- month traffic rank gets worse. I wrote to Alexa and they gave me the usual reply: Traffic ranking is relative. It means even your traffic is good, but others are even better. I took up the Yakezie Challenge on September 1, 2011, hoping to reach 200000 in Alexa Traffic Rank within six months on February 29, 2012. Now it has been more than one year and my blog is nowhere near 200000 because the one-month traffic is further away from it. The other disappointing fact is that better traffic does not correlate with AdSense earnings. My daily average income is less than 50 cents. Is it that advertisers are paying less for each click? Previously I could earn more with less traffic. I will still continue to write the best I can for my readers. I am not at all discouraged. Tough time will not last. Persistence, patience and perseverance will prevail in the end. According to a news item, 93% of Taiwanese office workers are not satisfied with their personal image and 51% admits that being obese will affect their performance at work. Furthermore, 56% says physical appearance affects social relationships the most The survey reveals that one of the main reasons for the body to go out of shape is sitting all day long in the office and working under pressure. 1. Park your car further away: Can you look for a place to park your car that you do not need to pay parking fees? Usually, it is away from your place of work. You save on your monthly expenses and you have an opportunity to walk and exercise your body twice a day. 2. Meet face to face instead of using the phone or email within the same building: You create better rapport with your co-workers when you walk over to his or her place to discuss outstanding issues. You can personally hand over your reports to the secretary of your boss instead of asking the office boy. You have a chance to catch up with someone who is working closely with your boss. 3. Talk and walk using cordless phone: Use a cordless phone and walk about. It is an effective way to exercise your body and you talk with energy when you are standing and moving around. 4. Take breaks: Taking breaks allows you to get up and move about. It is also an excellent way to refresh your mind and maintain your productivity. 5. Get out for lunch: Taking your lunch outside is another good way to move about. Don’t eat and work at the place of work. It is counter-productive. 6. Take control: You feel the stress at work because you are out of control. You are more likely to munch junk food when you are under pressure at work. Plan ahead and organize your day with a to-do list. Go to work early if necessary. 7. Avoid working overtime: You cannot sustain your energy and concentration by working longer than the usual working hours every day. Work smart by focusing on important issues. You need to rest and play to live a balanced life. It is the right way to perform better at work. How do you look good and healthy? What is Your Personal Wealth? What Can an Attitude of Gratitude Do For You?